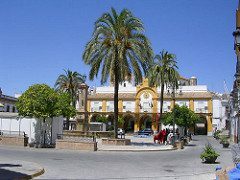 In this tourist guide to the area of Villamartin on the Costa Blanca of Spain we help visitors who are planning a trip with useful and practical advice on many tourism related Villamartin map, sightseeing, weather, where to go, where to stay, travel information and what to see and do in Villamartin. To make the best of your visit and holiday we cover everything you need to know about Villamartin. We also have photos, picture galleries, views, videos and Villamartin webcams. 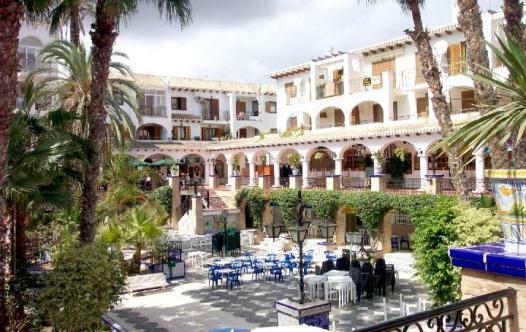 Villamartin is a fast growing tourist destination located on the Southern Costa Blanca, just west of Torrevieja. To get to Villamartin you can either fly into Alicante airport or Murcia airport. Once at the airport you have a range of different airport transfer options to Villamartin including private shuttle buses, taxis or Villa Martin car hire. Many tourists come to Villamartin because it is close to three championship golf courses – Campoamor, Las Ramblas and Villamartin. Villamartin has grown rapidly in recent years with many British people and other Northern Europeans snapping up cheap apartments as second homes in the sun. Accommodation is mainly apartments but also townhouses and some villas. Are you an expat in Villamartin? What do you like/dislike about it? Let us know in the comments box at the bottom of the page. Even if you are not into golf, Villamartin has plenty of attractions. Primarily this is about the climate and Villamartin weather – the sunshine and heat. Although Villamartin is slightly inland it is not far from the coast and many great beaches are close by although Villamartin car hire will be essential if you are to get around. Because there are so many beaches along the coast it is possible to easily find uncrowded white sandy beaches – even in August. Examples of beaches close to Villamartin are La Zenia, Cabo Roig, Playa Flamenca and Campoamor. All of them have the European Blue Flag which signifies high standards of water cleanliness, safety and good facilities for the family. Close to Villamartin is the gated community of Los Dolses also with its own plaza. The Villamartin plaza is most certainly worth a mention. This is a square with a black and white chessboard pattern surrounded by shops, bars, cafes, banks and restaurants. In the heat of summer the nightlife atmosphere is buzzing with life and noise. The local tourist office offers a service where they can help you find accommodation in Villamartin. There are hotels, pensions, apart-hotels and hostels. There are lots of Villamartin rentals with plenty of Villamartin apartments for rent and Villamartin villas for rent. What are the nearest international schools? In Villamartin, you can find the El Limonar International School which is a coed school for students between the ages of 3 and 18. This independent school is based on the British curriculum and follows the National Curriculum for England and Wales. The school is also named as one of the top schools in “The best schools in Spain” as rated by El Mundo. Whether you’re looking for a place to rent or to stay at permanently, you can take advantage of the services from the real estate agents in Villamartin who are more than willing to help you in finding your ideal residence. 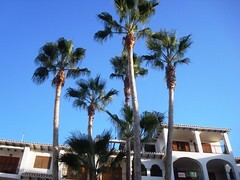 You can contact Your Home in Spain (www.yourhomeinspain.co.uk, +34 965 996 651); Vista Casas (www.vistacasas.com, Tel. +34 966 764 114 and +34 603 107 696); and Spanish Real Estate Group (spanishrealestategroup.com, Tel. +34 966 443 550). Despite Villamartin being in such a popular area for tourism it would appear the closest official tourist office to Villamartin is in Torrevieja or Playa Flamenca. There you will find English-speaking staff who can help you will local information such as maps, guides, brochures, help with accommodation and they can answer any questions you have about dates for festivals, fiestas, weather information, transport and airport transfers to Villamartin. Our Costa Blanca tourist office page has telephone numbers, addresses and email addresses. Gary, what would you say would be the advantages to living in Villamartin compared to other Costa Blanca towns? It has a feel of a small village with the advantage of a very good night life. None. It would cater for all ages. Not sure. Maybe 50 percent. Villamrtin Plaza for dining out; Golfing – 3 Golf courses to choose from; La Zenia Boulevard for Shopping, 5 mins to the coast. Villamartin Plaza has many to choose from. Yes. San Miguel is 5 mins drive. We are seeing a slight increase over the past few months. Repossessions are becoming more rare, interest rates for Mortgages as little as 1 percent. There are many urbanisations in the area ranging from small to very large. How much are the typical property prices in Villamartin for apartments, villas etc? Apartments from 60k to Villas over a million euro. Any tips and advice to people looking to buy in Villamartin or surrounding area? Visit first to get a feel of the area. Gary, thank you so much for taking the time to help our readers with your experiences in Spain. If you want to contact him, you can find his details below. If you have found this guide on Villamartin because you are thinking of moving to the Villamartin area, you may also find our moving to Spain section with expat interviews and accounts of how they found their move to Villamartin in Spain useful and informative. If you are coming to the Villamartin area to search for jobs and work, then our jobs page will help you in your search for jobs and work. 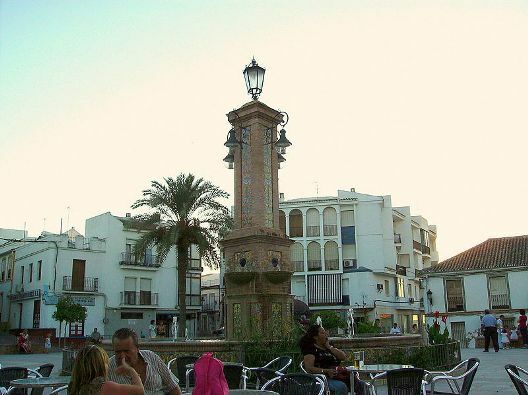 Page Summary – This page contains unique content about the growing town of Villamartin on the Orihuela Costa on the southern Costa Blanca coast of Spain. Please help us to make this the number one tourist resource for Villamartin by adding any comments, reviews, ratings and feedback on any aspect of Villamartin that you know about. We also welcome your photos, pictures and videos of Villamartin for posting on our website. what is villamartin like to visit in February? Articles on Villamartin always seem to focus on the Plaza area. I have a holiday apartment near La Fuente Commercial Centre and would like to see more on this area please.